Which Insulin Pump Is The Best For Your Lifestyle? HomeWhich Insulin Pump Is The Best For Your Lifestyle? Choosing an Insulin Pump can be difficult. 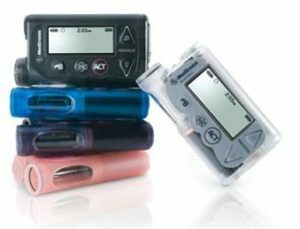 Insulin pumps represent a giant step forwards in diabetes management. Instead of constantly preparing and administering insulin by injection, pumps allows users to fine-tune their insulin delivery. Pumps as a whole and specific pumps in particular have both pros and cons for different types of users, however, so it is vital to read up on what is available. Most conventional insulin users will mix shorter and longer-acting types of insulin to attempt to get blood sugar control over an entire 24-hour period. This is important because high blood sugar can have serious short and long-term consequences, but is annoying at best. Pumps remove this necessity as they can deliver short-acting insulin constantly. Users trigger a ‘bolus’ or larger dose based on their carbohydrate intake when they eat and receive a low, calculated dose at all other times. There are some important points to consider when choosing an insulin pump. One of these is the pump’s bolus and basal rate delivery minimum. For patients who are very small (mostly children) or those whose bodies are very sensitive to low doses of insulin, the best insulin pump might be one that can deliver tiny or very precise doses. An example of a pump that can deliver down to 0.025 units per hour is the Medtronic MiniMed Paradigm Real-Time Revel. It can also be set to deliver doses in 0.025 unit increments, allowing incredible precision even with larger doses. The best insulin pump for a person who requires larger doses might be one with a bigger reservoir. The maximum delivery rate per hour may also be important in these cases. The Accu-Chek Spirit offers a 315-unit reservoir but the Real-Time Revel actually offers a higher rate of insulin delivery, at up to 35 units per hour. Some pumps have a maximum hourly rate of all the way down to 16 units. All modern pumps are computerized. Most of them interact with software on your home computer in order to allow you to maintain logs of blood sugar and other trends. These can provide valuable information for your long-term health that you don’t want to miss out on. Some pumps are only available with software that works on certain computers, so be sure to choose a pump with compatible software. Choosing a pump that interacts directly with a blood glucose monitor allows finer control. Some pumps include a blood glucose monitor which can alert patients to rising or falling blood sugars and automatically calculate recovery or catch-up doses. The Real-Time Revel and OmniPod both send an alert when blood sugar is becoming dangerously high and function as simultaneous continuous blood glucose monitors and insulin pumps. Almost all pumps have some method for disconnecting them in order to bathe or swim. However, a more convenient option may be a model that is waterproof and does not have to be removed. The OmniPod and the OneTouch Ping are both waterproof, the former for up to 25 feet deep for 60 minutes, and the latter for up to 12 feet with no time limit. Some people are concerned about carrying the pump around, but most pumps are similar in size and weigh 3.5-4.5 ounces. There are some that are smaller, though, all the way down to the 1.8-ounce Dana Diabecare II. Most are about the size of a deck of playing cards and average just over 3 by 2 inches and three-quarters of an inch thick. For people who really hate the tubing that is standard on all other insulin pumps, there is the OmniPod. This is the first tubing-free insulin pump. The wearable part is a small ‘Pod’ that attaches directly to the skin with adhesive and inserts a tiny cannula to deliver insulin. It requires replacing every 72 hours. 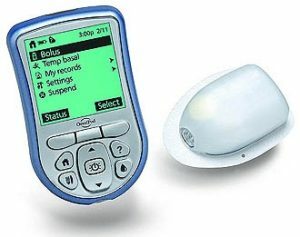 The management software is all on a handheld Personal Diabetes Manager (PDM) which is used to calibrate the pod, view data and deliver boluses. FDA-approved but not yet for sale, the Solo Micropump aims to provide an even more functional tubing-free system. It works a lot like the OmniPod but the attachable portion of the system can be repositioned and reused for 90 days. The pod itself also maintains basic information like the user’s standard bolus size so that even if the PDM is left somewhere boluses can still be given. However, launch was originally scheduled for 2010 and has been rescheduled twice to late 2012. Cost is an unfortunate thing to have to consider when dealing with healthcare, however many patients are forced to choose by price. Some insurance companies only cover certain pumps as well. Savvy users can sometimes find deals from certain companies who want them to switch, though. Living with diabetes isn’t easy but modern technology has made it a lot easier. Instead of calculating mixes of insulin and giving multiple daily injections, pumps make it possible for users to stick with one kind of insulin. People can decide what to eat when they like, rather than calculating it based on their current insulin levels. Many pumps have built-in features such as food libraries and continuous glucose monitors that make maintaining appropriate blood sugar levels easier as well. Even the problems of annoying tubing and non-waterproof pumps seem to have been relegated to the past.